The biggest problem with ‘Alita: Battle Angel’ is that it resorts to ‘origin’ tropes. Although it soars leaps and bounds in the technical department, it’s hard to shake off the feeling that we’re all too familiar with this story. There’s also a completely unnecessary romantic angle that the film could have done without. While Rodriguez and Cameron push the boundaries of computer wizardry, they choose to follow the storytelling textbook, so whether they succeed in breaking the curse of the live-action anime adaptation is up for debate. That aside, ‘Alita: Battle Angel’ is another testament to the power of big-screen IMAX 3D extravaganzas even though there are no great surprises in its ‘last-of-her-kind’ narrative. On the whole, ALITA: BATTLE ANGEL is filled with the right amount of empathic visual cues which builds an emotional rapport with viewers. A rapidly progressing story line peppered with action sequences and seamless visuals make the film a visual spectacle that captures the eye. However, fans of the original manga might be let down a bit, while those new to the story will relish the film. 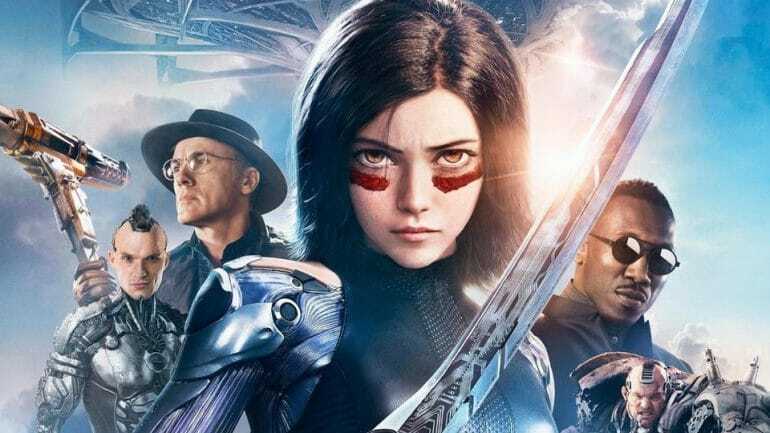 While Alita: Battle Angel has its flaws in its narrative, but that doesn’t take away from the fact that this film is meant for a theatrical experience and in that department, it will surely dazzle you. I would suggest, go to the best 3D movie theatre you have in your city or even a 4D one or an IMAX, because, the visual effects in the film is worth every penny spent.